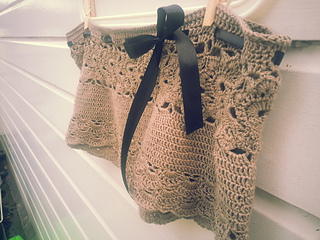 This is a pattern for some lacy shorts. 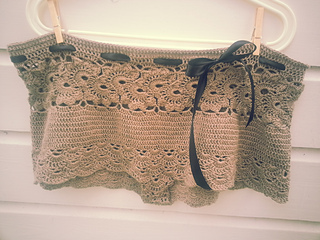 They are very pretty and comfortable to wear in the summer as a bikini cover or as sleepwear. This was designed not be too lacy, so it could even be worn over some tights to work/school.